In superb condition. 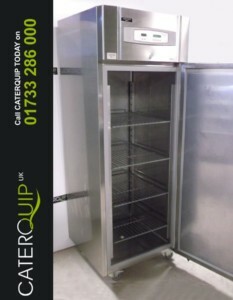 This is an excellent example of Foster’s blast freezer capable of blast chilling up to 21kg of hot food down to +2. Incorporates Fosters very latest ‘Surf Navigation’ technology. Simply select your desired programme and press a button. Height adjustable gastronorm compatible system. 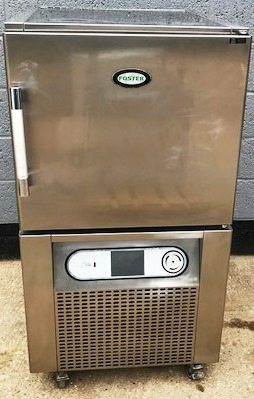 Blast Chillers are becoming an important acquisition in all kitchens, with Environmental Health Practitioners endorsing them as a major benefit in food safety. 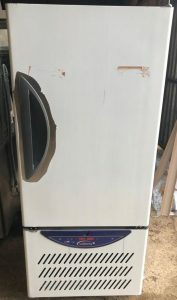 Easy to move on locking castors, this could be a perfect solution for your first blast fridge acquisition with the assurance of Foster build quality.